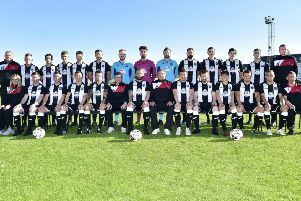 Fraserburgh FC started their 2018/19 Highland League season with a 5-1 home win over Strathspey Thistle on Saturday. The Broch went ahead on 12 minutes through Scott Barbour on his first competitive appearance of his second spell at Bellslea after a stint with Formartine United. 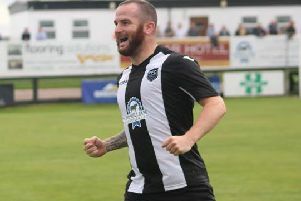 Ryan Cowie made it 2-0 on 44 minutes before Barbour netted his second just one minute later to give Fraserburgh a 3-0 lead going into the half-time break. Gary Harris got in on the scoring on 59 minutes and Graham Johnston added a fifth on 75 minutes. The visitors managed to get themselves a consolation goal through John Cameron five minutes before the end of the match. Elsewhere in the league Brora Rangers won 2-0 at home to Wick Academy, Deveronvale beat Lossiemouth 7-0, Formartine recorded a 4-1 win at home to Nairn County, Locos won 2-0 at Buckie, Turriff United won 3-2 at Huntly and Rothes hammered Fort William 11-1 at home. Cove were not in league action as they finalised their Betfred Cup campaign with a 2-0 win over League 1 Raith Rovers at The Balmoral Stadium. Keith v Forres Mechanics was postponed due to the passing of former HFL president Sandy Stables. The Broch were back in action on Wednesday night, after the Herald went to print, as they faced Inverurie Locos in their Challenge Cup play-off before travelling to Cove on Saturday.